1. Cut a 6-7" piece of elastic. This will be the back of the headband, so measure it with the necklace to make sure it fits your head properly. 2. 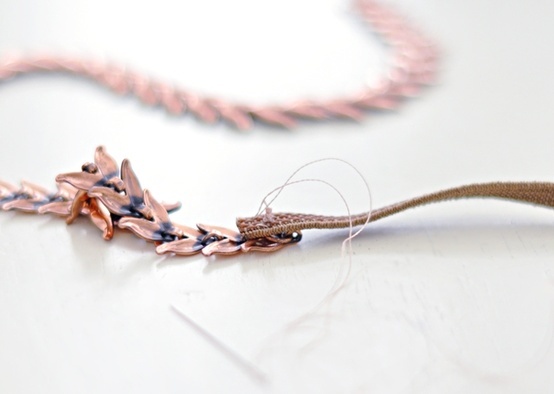 With a matching thread, sew the elastic into the metallic loops of the necklace on both sides. 3. In case you want to use it as a necklace again, just cut the threads. Have you ever tried this DIY? Credit sources: Late Afternoon Blog, ...love Maegan.